The Airworx Plus is 10% larger than the popular Airworx 10.0. 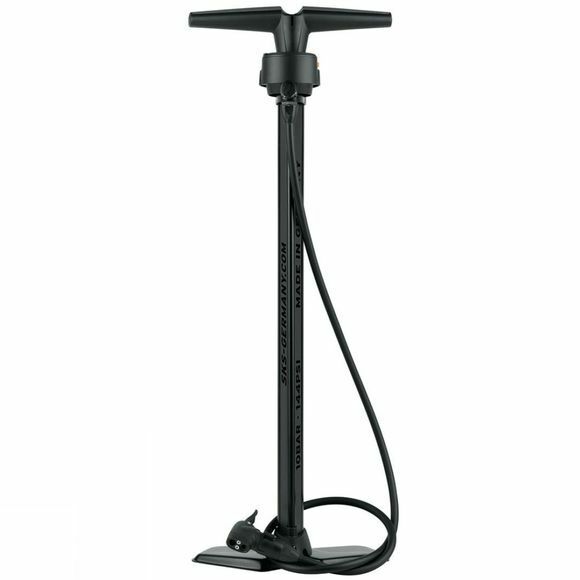 This high performance metal floor pump, in a stylish black and orange design, features top quality materials and is very easy to use. With a maximum pressure of 144psi (10 bar), the tall barrel is easy on the back and pumps efficiently and comfortably thanks to the dual-compound handle. The top-mounted gauge includes a bleed valve, to reduce the pressure in tubes with Presta or Schraeder valves. The Airworx Plus 10.0 is supplied with the SKS Multi Valve head.